Trunks & Tales, founded by Lindsey Healy-Thomas, was born out of her love and passion for elevating any occasion into a stunning celebration. “I believe in providing my clients with more than event planning. I understand and encompass their vision, transforming it into an extraordinary experience to enjoy and treasure.” Lindsey amazes guests, and especially her clients, with her attention to detail and special touches throughout each event. Trunks & Tales was a harmonious evolution of Lindsey’s eye for collecting special pieces, and using them along with her ability to create a unique experience and present an exceptional tale to tell. Trunks & Tales is your full-service planning and event design partner. 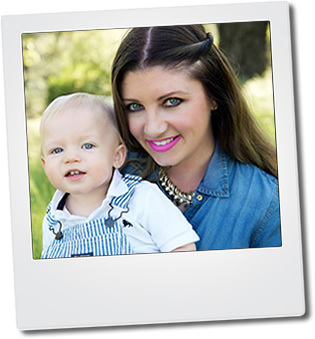 Lindsey lives in Walnut Creek with her husband, and two boys. While Lindsey’s passion is creating perfect memories for clients and her own family and friends; you’ll also find her with a camera in hand, antiquing, scouring estate sales, traveling, and enjoying outdoor music festivals. Trunks & Tales is distinctively positioned to provide your celebration with both planning and design, in addition to specialty rentals to seamlessly integrate into creating a cherished occasion. Working closely with clients and discovering their special story to celebrate, Lindsey manages all the logistical details, minimizing stress for everyone. Understanding her client’s specific needs, offers them the flexibility of being as hands-on or hands-off as desired. Experience with vendor relationships – whether working with long-time, loyal vendors, or sourcing and negotiating with ones that are just perfect for your personal occasion – Lindsey effectively and efficiently navigates the detailed interactions. Ability to assess client’s needs and vision and elevate a concept (no matter how small or big) into an individually unique celebration. From every napkin ring to each glass, every detail is thoughtfully considered. Project management – from the first getting to know you consultation to the last plate dried and put away, Lindsey manages the timeline and process so that your celebration runs smoothly and effortlessly. Event planning and management and rentals in the Bay Area are customized to each individual’s needs and desires. Destination events are also available, rates dependent upon location.